Cold winter mornings are for snuggling under the covers and staying warm. Aside from having to get up for work, there's no desire to leave the bed. If you're like me and your motivation for exercise is already fairly low, winter won't be doing anything to help you turn those good-intentioned thoughts of getting fit into action. As I struggle with the cold weather blues, here are five ways that I've managed to make exercise a regular part of my week. Nothing motivates you more than having good music to listen to whilst exercising. I recommend this as a first step. Invest some time into arranging a playlist on your iPod of your favourite songs, or recording them onto a mixtape depending on your audio preferences. Doing this builds up anticipation for exercise, and gives you something to look forward to listening to. Another motivator is to buy new clothes, but I'm not sure that fits under the cheap category! A friend and I made a regular habit during summer to go walking. For forty minutes we would walk a few mornings and evenings each week. At first it hurt, I was tired and grumpy and hated life, but after the first week I grew to love the feeling. Along comes winter, with its cold and soggy mornings and its dark evenings. It was too difficult to get up any earlier before work, and too dangerous for two girls to go walking after dark. In the past two weeks we've both brought and left our running shoes at work (I keep mine in the bottom drawer of my filing cabinet). Instead of spending our lunch break sitting in the tea room chatting, or even worse sitting in front of the computer working, we've taken to eating lunch during work and spending half an hour walking the streets around the office. We come back to work feeling refreshed, slightly puffed out, but full of energy and ready to tackle the afternoon. I've even found it makes the day go faster and it eradicates any signs of the 3:30pm blues. I've had trouble finding these in stores, but I'm probably looking in the wrong places. I borrowed two exercise DVDs from my step-mum a few months ago and have found them extremely helpful for those evenings when I've had one too many helpings of dinner. The key is to clear a space in your lounge room (I remove the coffee table completely), and convince whoever you can to join in. You might feel silly at first, but the positives of keeping active outweigh any embarrassment. A helpful tip: turn down the volume on the television. There's nothing quite like the backing music of an exercise DVD to demotivate you, and it doesn't take long before the chirpy encouragements of the instructor begin to grate your nerves. Put on your favourite CD, or get out your iPod and listen to that playlist. 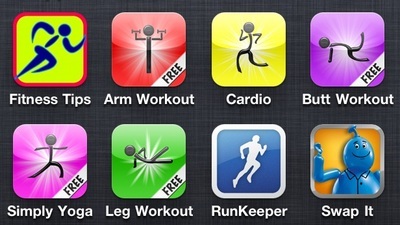 If you are of the smart phone variety, try downloading a few easy exercise apps. Some simply give you reminders to exercise, and others give you tips and articles on effective ways to get fit. I've found a few to be incredibly helpful. Daily Workout FREE – Daniel Miller: Daniel Miller produces a short series of different daily workout routines that can be done in 5, 7 and a half, or 10 minute installments. These are simple routines that can be done each night before bed. 10 minutes of exercise daily is still more effective than no exercise at all. 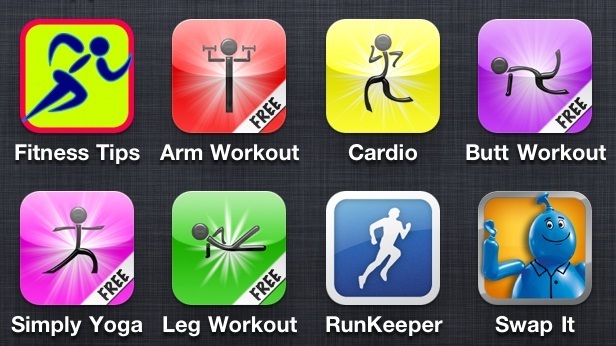 The free versions of these apps give you one workout with ten different exercises, but pay $0.99 and you can receive a second workout routine, and also the option to mix and match the two routines. 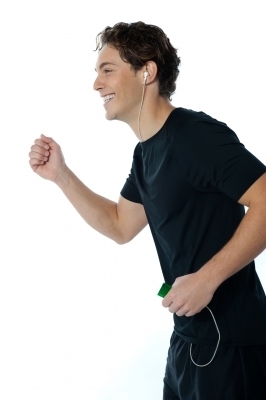 Each exercise is accompanied by a video, making the apps like downloading snippets of an exercise DVD. Run Keeper – Another free app, Run Keeper motivates me as I go walking. It tracks your speed, your distance and calculates how many calories you are burning with each activity. It requires GPS signal which drains the battery quite quickly though so be sure to charge your phone before heading out. Swap It – This app is great in giving you creative ways to swap regular winter activities for healthier and more active alternatives. A trip to dinner and the movies with friends sounds like a great way to spend a chilly evening, but why not swap it for dinner at home with friends and a night out bowling? Going out for hot chocolates can easily be swapped to having a cup of tea with skim milk. A night at the pub with mates can be swapped for a night at laser tag. There are plenty of ideas and you can even add your own and track what you're swapping this winter. It sounds simple, and I would recommend this for summer as well. If you drive to work, chances are you're spending a good half hour or more in traffic. The desire to get out of the car and straight into the office is understandable, particularly on a cold morning. If it's not raining however, try parking a few streets away and power walking from your car. 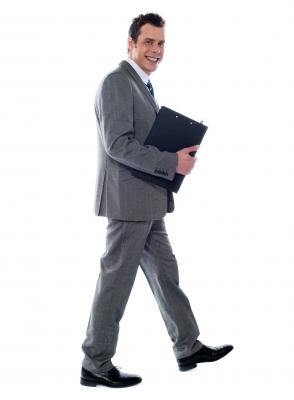 The brisk walk will give you a rush of energy once you get into the office, and the exercise will make the cold seem a little more bearable. Even parking a bit further down the street can give you a ten minute walk to work. Do this to and from your desk for five days and you've clocked up 100 minutes of exercise without even realising it! You can even use the Run Keeper app to track how far you're walking to and from the car. If you catch public transport to you work, parking further away isn't really an option for you. Parking further from the station and walking ten minutes to your car late of an evening also isn't particularly safe if you're a woman. Try getting on and off a station or a stop further away. Many CBD stations are a ten to fifteen minute walk away from each other, and bus stops litter the sides of the roads. Getting off a stop earlier and walking the rest of the way to work might seem like a hassle, but all that exercise adds up. It can also mean a cheaper commute, as the stop prior to your usual stop may even be in a different zone and mean a cheaper fare. One last tip: find a friend or a family member to join you. These people are great for telling you what you don't want to hear and making sure you do things you don't want to do. Ask a friend to tell you if you're being a slacker, and to check up on how you're going. You could even buddy up with them and keep each other in line. Don't put off being fit because the temperatures are freezing. Get motivated and get in shape and start habits now that can carry on into summer!